Sometimes I think the ‘Antiques’ sign out the front of the shop I visit often might be pushing it. Same as when I dragged MR around an “antique fair” not so long ago. A better term would be ‘Bric a Brac’ with the odd antique piece thrown in for good measure. Anyway… I found this rusty billy can at the ‘antique’ shop marked down to $5. 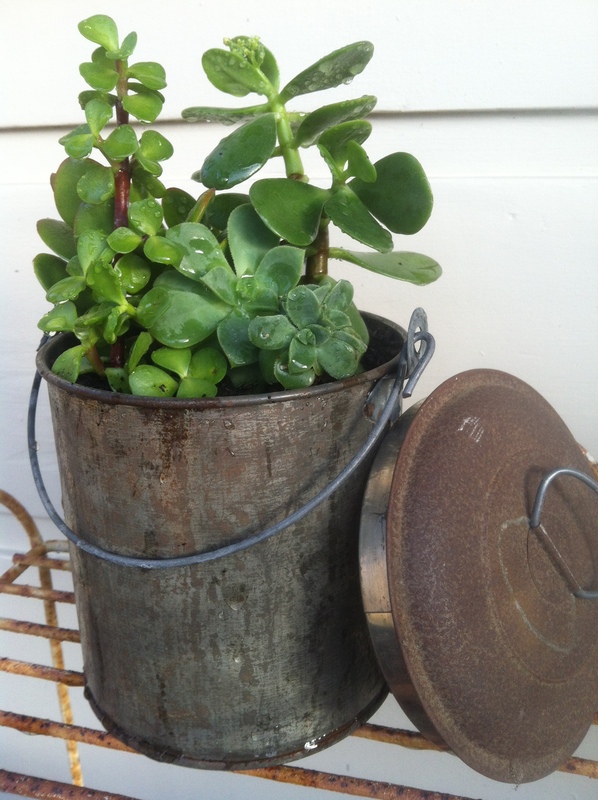 Clearly I couldn’t walk past a bargain like that and thought the glorious greens found in succulent plants would compliment the rusty brown and grey of the billy can perfectly. I’ve added a ‘Succulent’ board to Pinterest – some great ideas for these easy to grow varieties.